“The secret to keeping a houseplant alive is to replicate its natural growing zone by giving it the amount of humidity, light, and water it prefers,” writes Gardenista in this comprehensive guide for nurturing houseplants. 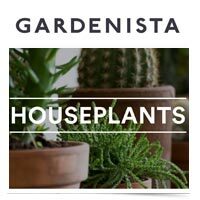 In addition to a visual aid for identifying and caring for over 20 different houseplants, this guide includes inspiring design articles to help you place and highlight your thriving green friends. Share this guide with your clients or use it yourself to pick the perfect living closing gift for their new home.